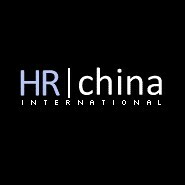 HR China is looking for English language teachers to undertake a period of work in China. This is an opportunity to learn Chinese while teaching English in a major city in China - Beijing, Wuhan, Nanjing, Tianjin or Suzhou. Preferred candidates will have a TEFL qualification (Teaching English as a Foreign Language) and/or a relevant degree and teaching qualification. The positions may be of interest both to recently qualified individuals and to experienced teachers looking for a mid-career break. More than two years’ teaching experience; or TEFL certification. Energetic and healthy individuals who can get along with children.